BERLIN (Sputnik) - Almost 60 percent of adult refugees who arrived in Germany in the first half of 2018 did not have any identity documents, the Welt am Sonntag newspaper reported, citing the German Interior Ministry. The Interior Ministry said, as quoted by the Welt am Sonntag, that it was "aware that half of those who had entered the country intentionally hid their documents, thus trying to increase the chances of obtaining asylum." 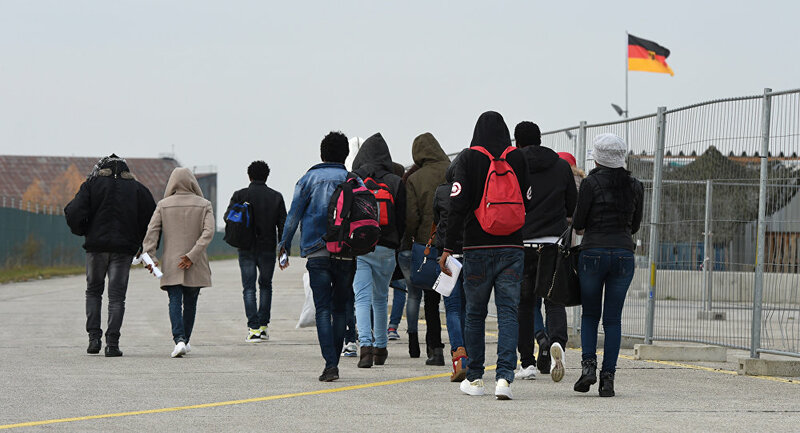 The highest percentage of those who did not have any documents when entering Germany was among the refugees from Nigeria, Somali, Gambia, and Guinea-Bissau, amounting to 97-98 percent, according to the newspaper. Among Algerians, the share of undocumented migrants stood at 95 percent, while the refugees from Eritrea and Afghanistan followed in descending order. However, only 21 percent of Syrians and 24 percent of Turks did not have identity documents upon arrival in Germany, the outlet noted. Germany has become one of the countries deeply affected by the migration crisis in Europe, which broke out in 2015 with a huge influx of people fleeing armed conflicts in the Middle East and North Africa. Germany: Regime Change by Refugees?